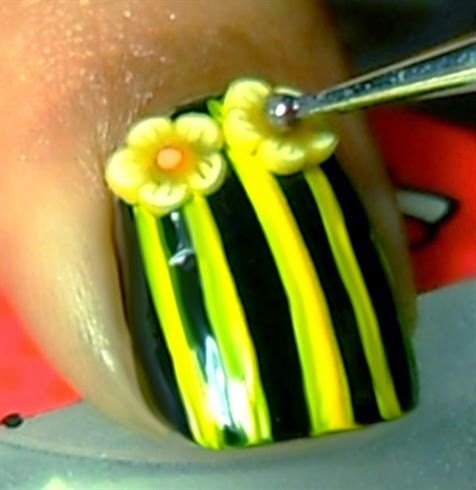 ☛ First apply the base coat to your nails before proceeding to the next step. 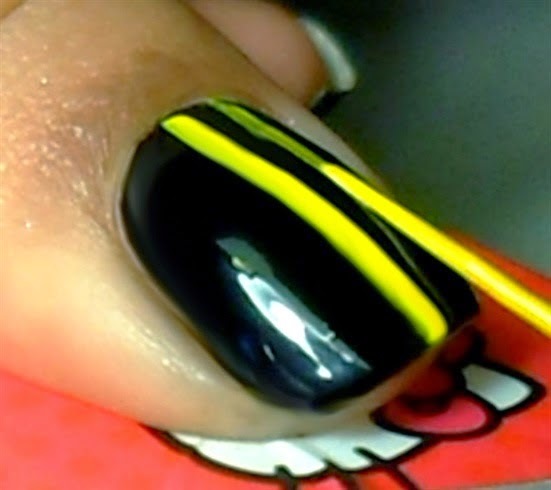 ☛ Now pick up the black nail paint and paint your nails in dark black. 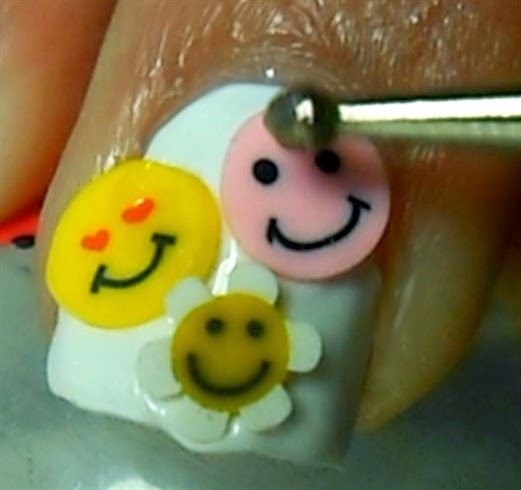 ☛ Leave it for some time to settle down properly. 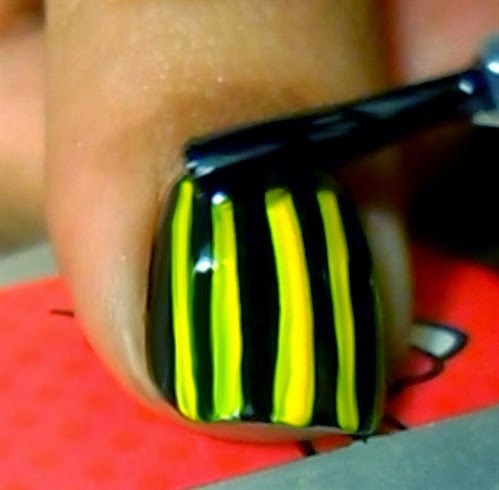 ☛ Now dip your brush into the yellow nail paint and draw vertical lines a distance apart. 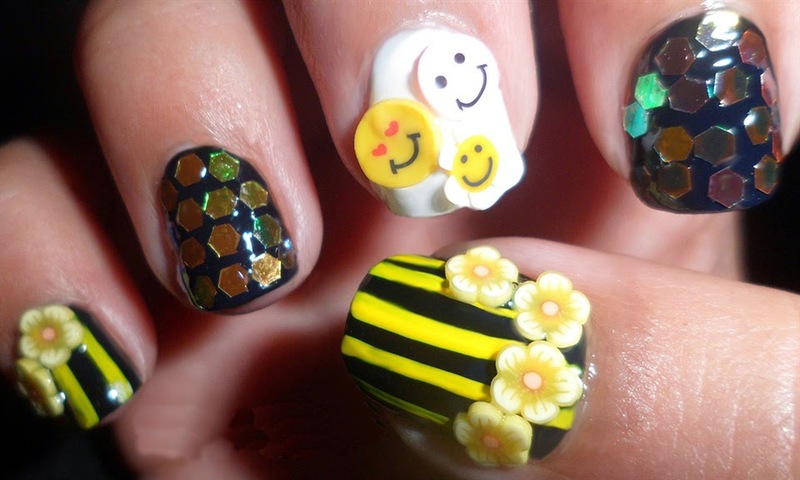 ☛ Choose some nail stickers if you have already purchased that from market and fix them on to your nails. 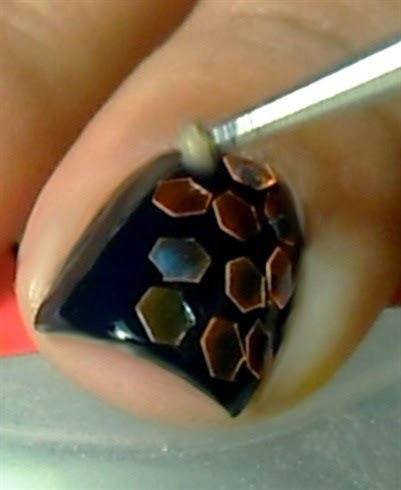 ☛ Now to make it finish, apply the final coat to give the required shine. 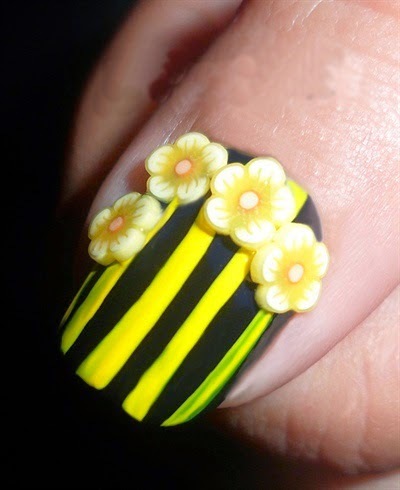 Your bumblebee inspired nail art design is ready and we have taught you to apply it on one nail only. 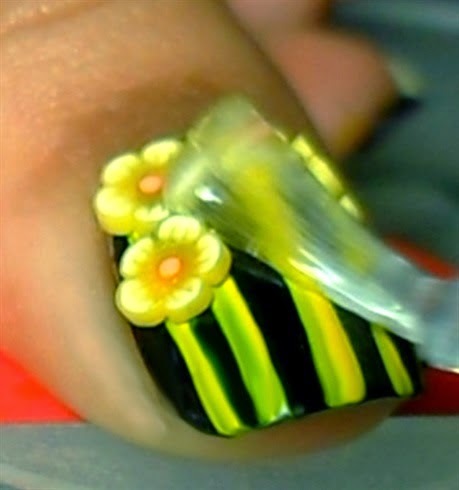 For the rest of the nails you can pick the different other color and art patterns also to make more cute art.